This book covers the use of multiple parts to create an assembly. It also covers the various analytical and navigation tools that are available within an assembly. 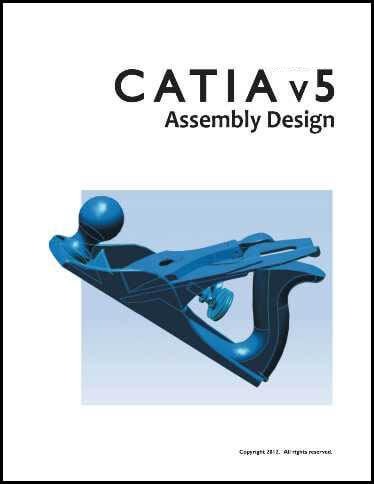 Students will be introduced to the product environment of CATIA V5 and learn how to work with multiple parts between the Assembly Design, DMU Space Analysis and DMU Navigator workbenches. Upon successful completion of the book, the student will be able to insert, manipulate, constrain and modify components in an assembly; work with the links of the assembly; create parts within the assembly structure; perform measurements, clash analyses and section analyses; create scenes and annotated views; capture pictures and create xml files for external use and utilize all of the navigation tools.